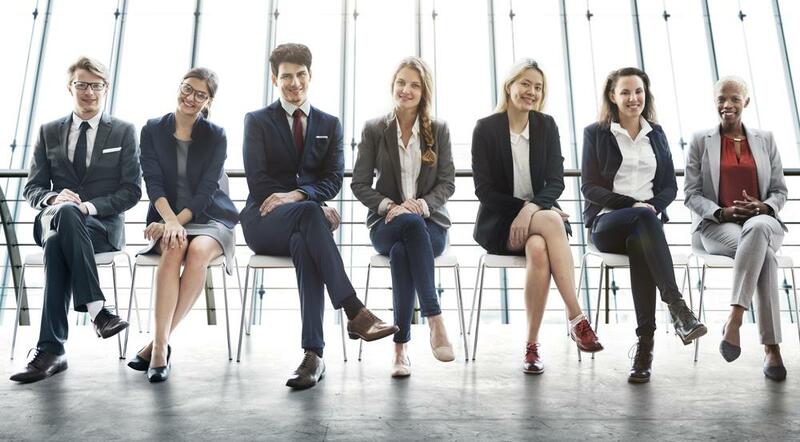 Not long ago, the majority of employers, hiring managers, and recruiters had a good problem on their hands where talent acquisition was concerned: too many applicants. If you receive hundreds of responses for an open position, you can afford to be highly selective – your recruiting plan can simply be to wait for that perfect candidate to come along. Unfortunately, now that we’ve gone from an employer’s market to a candidate-driven market, the days of finding purple squirrels and unicorns are far in the past. So what are the elements of a successful recruiting strategy in a job market where candidates are the ones who can be choosy and discerning? It begins with two words: recruitment marketing. Recruitment marketing takes basic concepts from the sales and advertising world and applies them to hiring organizations. By building an employer’s brand and “selling” the organization as a great place to work, recruiters and talent acquisition specialists can better compete for candidates and convince them to apply for openings. Recruitment marketing begins with the job you’re trying to fill, but it goes a lot further than that. In a candidate-driven market, the best talent can find plenty of job opportunities to choose from. This means a central part of your recruiting plan will involve convincing professionals that your company is the best place for them and building a pipeline of candidates with the skills you’re looking for. In addition to writing an eye-catching job ad, your recruiting strategy must also include promoting the company as a whole, marketing the perks potential candidates will enjoy, taking a proactive approach to identify prospective talent, and ensuring that applicants have an easy way to submit their information. Today’s candidate-driven market has significantly increased competition for top talent. Applying is buying, so you’ll need to treat your candidates like clients and market to them like any other customer. Writing an engaging and effective job ad can be tough. Simply listing duties, responsibilities, key qualifications, and education requirements won’t be enough to convince A-players to join your team. Your job ad needs to be a true advertisement – you have to speak directly to your audience and persuade them to take that extra step and apply for a role with your company. Once you’ve written that great job ad, you’ll need to advertise it on a job board or your career site. That’s just a start, though. You must also utilize social media to promote your openings and take every opportunity to sell potential candidates on the organization itself. To build your employer brand you need to highlight your unique company culture, your stellar reputation, and the growth prospects that promise future opportunities for the organization and the candidate. You can have the best recruiting plan and the most effective talent acquisition team ever assembled, but if your company skimps on salary, benefits, and other perks, no amount of recruitment marketing efforts will be able to make up for it. Most professionals are motivated by monetary compensation, the opportunity to expand their skills and take their careers to the next level, and fringe benefits. Does the company offer catered lunches? How about the use of a company car? Does your office hold weekly happy hours? Can employees work from home or create their own flexible schedule? Does every employee get access to a concierge service paid for by the organization? What does the health plan look like? Is 401(k) matching part of the benefits package? Tell potential applicants all about the “extras” they’ll get if they join your team. Drafting a simple, straightforward job posting and adding it to your favorite job board may have worked five years ago, but in the current climate, your recruiting plan will require a bit more effort. Active job seekers will be on the lookout for the latest opportunities, but you need to find passive candidates as well. Very rarely will the best talent come to you – you’ll have to go to them. In addition to posting your open position on general job boards and industry-specific employment sites, you need to invest in a versatile resume search service with a highly accurate resume database so that you can source professionals that have the knowledge, skills, and experience your open position requires. Once you’ve got a great candidate interested in your open position, don’t let your application process spoil the deal. Much like recruitment marketing, the concept of candidate experience is a rather recent addition to the conversation about hiring tactics and recruiting plans. The idea that candidates should have positive interactions with a potential employer and be kept in the loop throughout the hiring process is important and must not be overlooked. Treat candidates like customers. It may seem odd at first, but it makes perfect sense because candidates are customers. Putting a purchase flow on your website that takes 20 minutes to complete doesn’t make much sense. Neither does having an application process that can’t be completed on a smartphone or requires candidates to input all of the information that is already on their resume. In the current candidate-driven market, recruitment marketing is one the most essential elements of a successful recruiting strategy. Create your candidate pipeline using a diversified recruiting plan that includes job ads and resume search, promote your company and the unique benefits offered, and provide an exceptional candidate experience. Do all those things right and your talent acquisition operation will thrive.